Alamin coaches a wide range of sports, including football, cricket, basketball, hockey, tag rugby, tennis, table tennis, athletics and handball. As a player, he’s been on the teams of Somers Town Future football club and Edmonton Cricket Club. 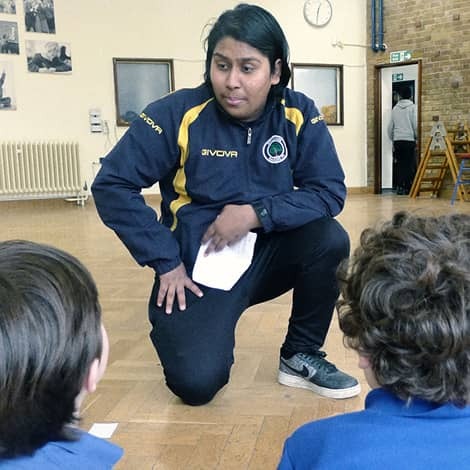 As a coach, he’s previously worked for Regent’s Park Youth League, Arsenal in the Community, the London FA and the AFA. He sees his primary goal as a coach is to make sure the kids are having FUN.